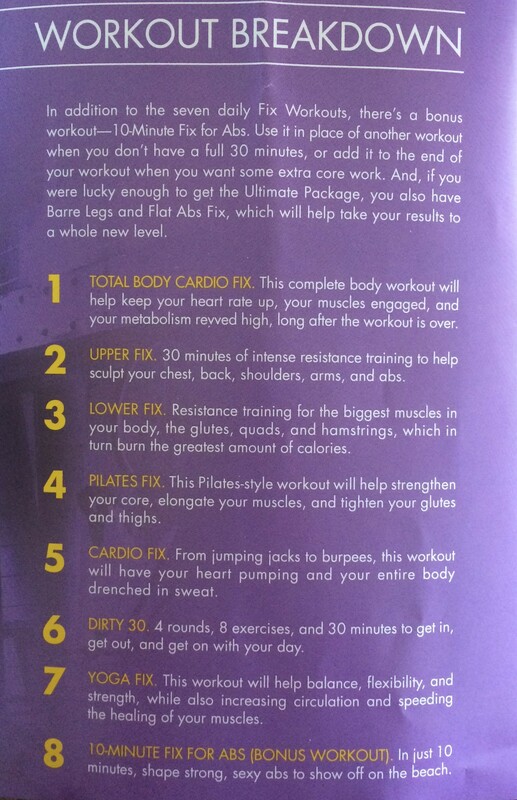 Fit2B and #21DayFix in Bullet Points! I’m trying not to write much about the 21 Day Fix and Fit2B programs that I am currently doing until the end of the month when I can give a good synopsis of them, but people have written me with quite a few questions already, so here are a few bullet points in the meantime! Fit2B (which I’m doing to help with my diastasis recti which contributes to the post baby belly pooch): It doesn’t feel like much when you’re doing it, but I can already tell that it’s helped me to be more aware of how I hold my body throughout the day, and when I’m doing the 21 Day Fix workouts, I’m being much more conscious about my posture and holding my abdomen in and protecting & strengthening those transverse muscles. I like it so far and definitely recommend it if you have any diastasis recti problem postpartum. The intro workouts are around 10-15 minutes, and I’m trying to do them almost every day. Once you get further into the program there are 20-30 minute options as well. The amount you eat each day on the 21 Day Fix program is determined by your starting weight. When I did the calculations, it put me in the 1,200-1,499 category which gave me a certain number of each type of food container that I was allowed each day. If I follow the guidelines, I should be at roughly a 40/30/30 split of carbs/fats/protein. I eat the equivalent of 3 cups of protein, 2.5 cups of fruit, 3.75 cups of veggies, 1 cup of carbs & starches, 1/2 cup of healthy fats (avocado/cheese/nuts), 2 Tablespoons of seeds & dressings, and two teaspoons of assorted oils. They give you a food list of the best foods to eat in each category for maximum nutrition and lower sugar content. You aren’t supposed to count calories with this program, but out of curiosity I did for the first few days, and after 4 days I’ve averaged 1307 calories per day and a split of 35.5% carbs / 31.25% fats / 33.25% protein. I do try to make sure that I eat all of my containers that I’m allowed, simply because I think that 1300 calories is already pretty low, especially when I’m working out every day. I’ve read the no carbs after 6pm guideline somewhere, but it’s not part of the regular 21 Day Fix program as far as I’m aware (I think it’s for the “extreme” version maybe?). Honestly, we try to eat dinner by 6pm anyway, so I hadn’t really thought about it as it doesn’t really apply to me. Ha! Recipe Ideas: I’m not much of a Pinterest person, but it definitely seems like the easiest way to compile recipe ideas, so here is my board if you’re interested! Quite honestly, I would never eat this few calories forever, but the whole point of this program is to jump start my health and fitness journey, and the program is clear that the goal is a 750 calorie deficit per day which equates to a 1.5# loss per week. I’ve been pleasantly surprised by how full I’ve been anyway since I’ve been eating very nutrient dense, healthy foods. For years I’ve tried to hit the 40/30/30 split, and this is much closer than I usually get. I tend to be low on carbs and high on fats/proteins, I think because carbs tend to be my trigger foods (cheetos, crackers, pasta, etc) so for years I have tended to avoid them altogether…you know, except for beer carbs, which are pretty much the worst ones out there. Oops. So far I’ve been getting up at 5:30am to work out each day, which has been difficult only because I hate the morning so much. Once I’ve done it though, I feel great, and I’ve always found it easier to eat healthy when I’ve started the day with some heart pumping exercise that got my muscles burning. There are 7 different routines you do with the program I’m on, and you repeat them each 3 times during the 3 week program. I’m loving that they’re a combination of cardio and resistance training, all done in 30 minutes. Thank you for the explanation! I’ve been wondering for months now. Totally! I had the same thought as A. You look great!! So in 3 weeks you’ll look amazing!! I’m not really adding back in the breastfeeding calories (my guess is Andy gets around 10-12oz/day – he’s back to nursing 3x…), but it wouldn’t make a difference for me anyway in terms of my “bracket.” Also, I’m certain that although my workouts are exhausting and really great they probably aren’t as tough as the Fix ones (I doubt my calorie burn is 400cal) so that probably cancels things out. Ha! Good eye! Yes, I updated the amounts. I realized I had completely forgotten to put the blue container in the list, and then when I looked closer i put the wrong amount for yellow (I get 2 containers but I forgot to do 1/2 x 2). I’ve also seen conflicting reports for green and purple, so last night I measured them myself with a measuring cup, and they’re definitely 1 1/4 cups each, not 1 cup each like I originally thought. Yes, I’m doing the Shakeology. I don’t know if I’ll do it after this first month, but I figured I’d give it a shot for the first month at least! I agree with the others, you look great in these before pics 🙂 I had always read 20 cal / oz of breastmilk? I’m going to have to give the fit2b a try, my diastsis is awful these days. I’ve always read 10 cal / oz for BM, so when I was exclusively BFing I always added in 300-350 cals because I figured the kids were eating just over 30 ounces per day. Is your body mass index [BMI] low, high or in-between? 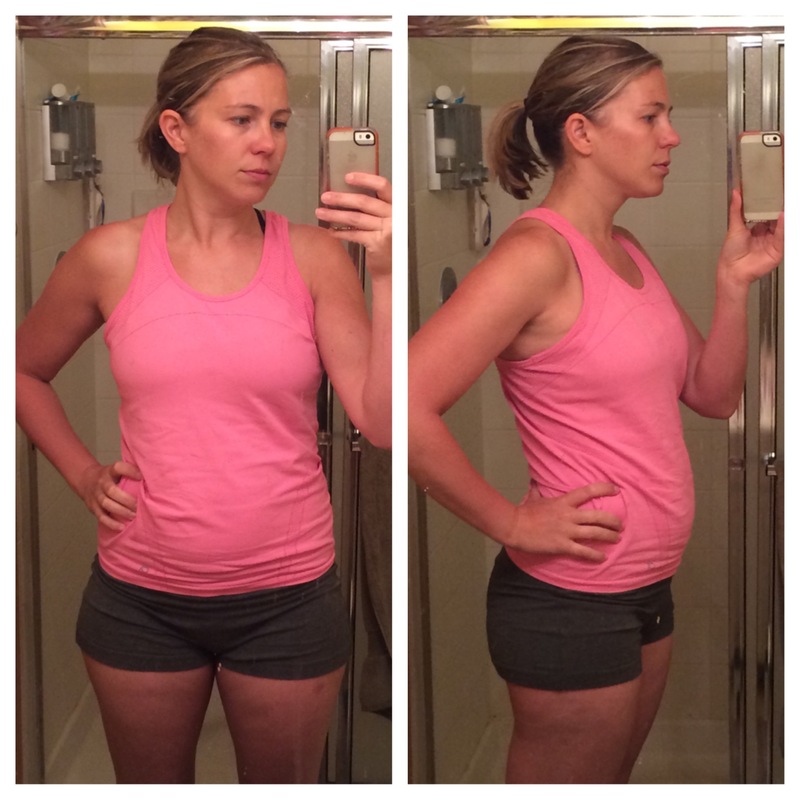 A mom who does not have any spare fat reserves (and most of us do!) will need the greatest number of extra calories. Maternal fat stores typically provide about 200 calories per day towards lactation, so if your BMI is low (particularly if you’re considered very underweight, or BMI<19.8) you will need to get extra calories from your diet." <– that's you! You mentioned briefly about breastfeeding. Do you wish you would have started doing this diet early like when Harvey was 6 months? I would like to do something but I do not have the patience for mfp or ww. I do not want to effect my milk supply in the negative way either. But I want to hit my pre-preggo weight and I have plateau. Granted if I just quite eating sweets would do wonders! Well, no, not really. Healthy eating + working out consistently, yes. But eating only 1200-1500 calories a day would have for sure made my milk supply drop, and I had no desire to compromise my ability to BF in order to drop a few pounds. For me it was worth an extra few months of plateau in order to not have that stress. You could definitely quit eating sweets and start working out more consistently and see a change already I’d guess. ← Pre-K Registration = Complete!